Use the map to search for your university and see how much money has been invested from which companies. Or check our database here. Britain’s top universities have admitted taking £134m in funding from oil, gas and coal companies in the past five years – even as many move to divest themselves from the fossil fuel industry, according to a Greenpeace investigation. The investigation involving scores of freedom of information requests, interviews and trawls of grant databases found three quarters of all the funds were given by just two companies: Shell and BP. The majority of all the funding – nearly £100m – went to the University of Manchester, University of Cambridge, Imperial College and Oxford University. Thirty-nine different universities admitted taking the money, including 80% of the elite Russell Group, several of which have committed to divesting. Other universities refused to provide data meaning the actual figure for fossil fuel funding could be higher. Last year Glasgow University became the first academic institution in Europe to divest from the fossil fuel industry, removing £18m in shares and endowments into other funds. Warwick made a similar decision in July and Oxford has approved a partial divestment, selling investments in tar sands and coal extraction. Manchester is under pressure to follow suit, removing £9.5m of shares held in BP, Shell and others – yet all of these institutions continue to take money from fossil fuel giants. The investigation also found some top universities – including Oxford and UCL – are receiving more funding from oil and mining companies than from major scientific research councils, sparking fears that industry pressures could be dictating the focus of scientific research. The money from fossil fuel companies has paid for academic research, conferences, departmental overhead costs and even branded professorships. At Oxford, for example, Shell funds the Professor of Earth Sciences. We found oil company executives lecturing in universities and companies funding academic research that directly benefits them, such as ways to detect and extract oil. The use of money from fossil fuel giants to fund research which may be used to increase extraction also raises questions about the University’s positions on divestment – apparently aimed at reducing global fossil fuel use. Neither Cambridge nor Manchester responded to requests for comment from Unearthed or Buzzfeed who with whom we shared our data. A spokeswoman for Imperial College London said it worked with a wide range of funders. “At Imperial College London, we collaborate with a wide range of partners, including business, academia, industry, healthcare and government,” she said. A spokeswoman for Oxford University said donations did not affect the institution’s independence. The data showed that funding from just two companies, BP and Shell, was equivalent to an eighth of all the public money which went to fund energy related research. The majority (59%) of all the funding coming from the fossil fuel companies explored, went to the University of Manchester, University of Cambridge and Imperial University. In fact, each of those universities received more from fossil fuel companies than they got in scientific research grants from one of the major science funders, the Natural Environment Research Council (NERC). Nearly a quarter of the universities explored received more money from fossil fuel companies than from another major science funder, the Engineering and Physical Sciences Research Council (EPSRC). Greenpeace found that EPSRC provided £235,521,962 research grants to universities for projects that partnered with Shell, BP and Exxon Mobil. As well as receiving money directly from companies, universities have used industry partnerships to leverage funding from taxpayer-funded research councils. The input of big money from fossil fuel companies could direct the focus of research and development on to projects that benefit the bottom line of the companies involved, rather than the wider public interest such as clean technology like renewables. “These figures raise the concern that it is also a problem in environmental science and energy research,” said Dr Stuart Parkinson. We contacted university groups specialising in renewables and some noted corporate funding levels significantly below that being ploughed into research of oil and gas. The University of Southampton’s renewable energy group, for example, told us that they haven’t had any corporate funding for their work. Funds given by fossil fuel companies have gone to paying for research, salaries, conferences and buildings. Unsurprisingly in numerous instances, fossil fuel companies have been funding universities to do research into areas that would benefit their work or enhance their reputation amongst academics and students alike, known as “social license”. Researchers from Imperial college, which received nearly £24m from oil and mining companies, partnered with BP on a project to find new ways to extract oil from deep underground rock formations. Glasgow, the first university in Europe to commit to divesting, partnered with Shell to develop an ultra-sensitive gas detector designed to help find oil and gas reserves by measuring trace gases escaping from the ground. At the University of Oxford, BP has given millions to fund the Oxford Centre for the Analysis of Resource Rich Economies. Fossil fuel money has also gone to paying for academic staff. 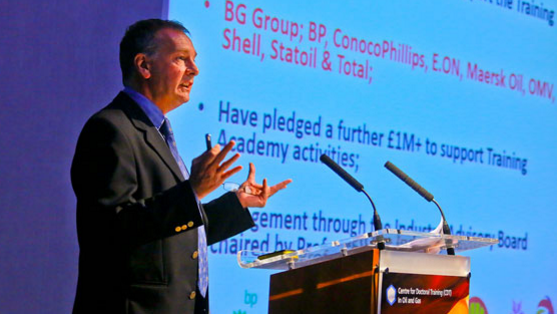 Shell funds the “Shell Professor of Earth Sciences” at Oxford University, held by Professor Joe Cartwright who writes on a range of energy issues including fracking and regularly speaks at the Shale UK conference. Oxford University also has a Centre for the Analysis of Resource-Rich Economies, which is heavily funded by BP and is home to the BP Chair in Economics, currently Professor Tony Veneables. Manchester University’s partnership with BP partnership resulted in a BP Engineering Chair in Materials and Corrosion while at Heriot-Watt university in Scotland, Professor John Underhill holds the Shell Chair of Exploration Geoscience. Greenpeace UK’s research has also revealed the close links between companies and academics. A fifth of BP’s Board have teaching roles at universities, while at Imperial College, nine staff members also work as consultants for fossil fuel companies, four of them for BP. In fact, BP’s Vice President of Public Partnerships also sits on one of the judging panels of the National Research Excellence Framework, the body which assesses the quality of research in UK higher education institutions, giving the company a steer in the type of output that is rewarded. “In the case of fossil fuel funding it is clear that many companies benefit from their association with universities in ways that go beyond the research itself. Donating funds to universities gives fossil fuel companies access to the larger research cultures of universities, not just to scientists who can help with specific issues concerning production and extraction, so allowing a better understanding of the critical debate around sustainability, and so the possibility of recuperating critique in order to enhance brand value. As well as paying for research that benefits existing forms of fuel extraction, the companies explored have also given some money to researching new forms of energy, including bio-fuels and fracking. Shell, for example, gave the University of Manchester over £150,000 to fund a project developing an artificial way to make oil. The research outline states that the company would jointly own the intellectual property rights, giving Shell some ownership of a product that could compete with their own oil in the future. Exeter university’s Bioscience department is in a seven-year partnership with Shell; the company funds several research fellows in their work on biofuel and inputs to influence the focus of research. In a blog on Shell’s website, Exeter university professor John Love, describes how the company has shaped the focus of their research: “Commercialisation is the goal… Shell specified the hydrocarbon molecules it would like, mainly for jet fuel and diesel, and we are exploring intelligent ways to make them,” he wrote. In recent years universities have been encouraged to look for corporate partners to help fund academic research, and the need for private donors is increasing. Scottish universities have seen their main research grants for next year cut by £12.9 million and funding available for English universities is now in doubt as the Department for Business, Innovation and Skills has been asked to find budget cuts of £450 million. Concerns over transparency in funding are not new. Back in 2010 the House of Lords Science & Technology Select Committee set out recommendation for greater transparency and accountability concerning levels of support for alternative trajectories of research in specific fields. However, the government failed to act on several key recommendations about transparency.